EmuParadise, an 18-year-old website offering downloads of classic computer games, has voluntarily shut down following legal action by Nintendo against two similar online portals. All three offered a wide variety of old games in an unauthorised format. In its legal action, Nintendo is seeking $150,000 (£117,000) for each Nintendo game offered and up to $2m for each trademark infringement. EmuParadise said it could not risk “potentially disastrous consequences”. It said it intended to remain online but would be taking the site in a new direction. “We run EmuParadise for the love of retro games and for you to be able to revisit those good times. Unfortunately, it’s not possible right now to do so in a way that makes everyone happy and keeps us out of trouble,” wrote founder MasJ. The two websites named in Nintendo’s legal action, filed in Arizona, were LoveRetro and LoveRoms, and were both registered to the same company, Mathias Designs. Both sites are now closed but offered games originally designed for a number of classic consoles including those by Sega, Sony, and Atari. The sites made old games available in the Rom format, which is typically a copy of all the data on the read-only memory of a video game cartridge. They can be played on modern devices – including computers and smartphones – using software known as an emulator. Rom games are popular among retro gaming fans, although they are rarely authorised by the companies who developed the original games. 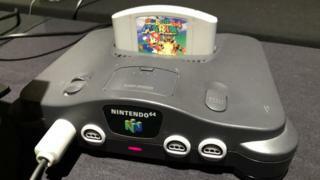 “Let’s view this from the position of the average retro gamer,” wrote Ernesto van der Sar on the news site TorrentFreak. “Obtaining Roms, in order to play retro games, does no harm. The titles themselves are often decades old, run on obsolete hardware, and have already covered their costs 1,000 times over. 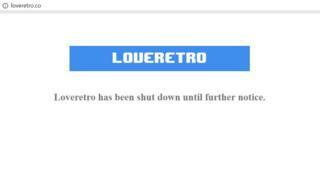 In its legal papers, Nintendo described LoveRetro and LoveRom as “built almost entirely on the brazen and mass-scale infringement of Nintendo’s intellectual property rights”. It accused them of “trafficking in pirate copies” of its games and using its trademarks without authorisation. In an email to US news website Arizona Republic, the websites’ lawyer Lance Venable said the allegations were being taken “very seriously”. “I have been in contact with Nintendo’s counsel and we are hopeful that we can resolve the matter amicably,” he said. Nintendo is launching a subscription service for its latest Switch console in September, which will include access to some of its retro titles.